Chiang Mai is one of the largest cities in Thailand and a popular destination for foreign visitors. If you are looking for a suitable accommodation in the city, you will not have a problem finding a place that is both comfortable, affordable and accessible since Chiang Mai is home to numerous accommodation options for visitors to choose from. From budget accommodations to suit backpackers to high priced luxury hotels for busy execs and foreign group tourists, Chiang Mai has all sorts of overnight options for guests. Here are the top 3 picks for mid-range accommodation for travelers. This is one of the larger and more affordable guest houses in the area. Located in Loi Kroh Road, it is known for its superior and luxurious accommodations, security, and prime location. It is located close to many Chiang Mai attractions, bars, restaurants and the Night Bazaar which is a favorite jaunt of foreign tourists. The great thing about the place is the cleanliness. It is also quite minimalist but all the rooms come with complete amenities, from hot and cold showers to flat screen TVs with Western programming and Wifi. The lodge also has safe parking and the staff is friendly and fluent in English. At 800 baht this is one of the best places to stay in Chiang Mai especially for those coming in their own rides to stay in the hot area. The Boonthavon Apartment Hotel is one of the highest rated mid-range hotels in Chiang Mai. First time guests can book online and see photos of rooms and facilities before they decide to stay here. The accommodations are luxurious considering the price. Rooms are well-appointed with fridge, TV, AC and step in showers with curtains. 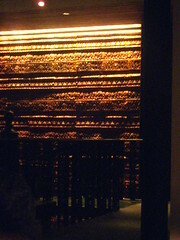 Some rooms have balconies which allow visitors to take in the sweet evening breeze when they want to. Complimentary water bottles are given to guests each morning. For those looking for decent rooms within budget this is a good choice. Tourists can walk to Tapae Gate from the hotel, although the hotel itself is very quiet. The staff is friendly and very accommodating. They regularly receive foreign guests so most of the staff are conversant in basic English. Finally another good option for Chiang Mai accommodation is Cool Guest House. It is located in a historical neighborhood so guests have the advantage of being surrounded by historical temples and monuments. It is also located close to the North Gate bar, the food market, and the tourist help center. Guests only have to walk to popular temple destinations like Wat Chedi and Wat Chiang Man. The Sunday market, which starts at 4 PM is also another popular attraction. Cool Guest House also has complete amenities and most of the staff are conversant in English, French and Thai. With so many options to choose from, finding a good night’s sleep in Chiang Mai is very easy. Any of these accommodations can provide affordable services to local and foreign tourists alike and all three are easily accessible within the city.